The Squadron holds several New Members’ Night throughout the year, where newly accepted members are warmly welcomed to the club and given an overview of club life. When a new member joins the Squadron, they are “introduced” to the club at their new members night. The flag officers and committee host an informal gathering for new members of the Squadron to welcome them and present them with their membership pack and publicly introduce them to the Squadron members. 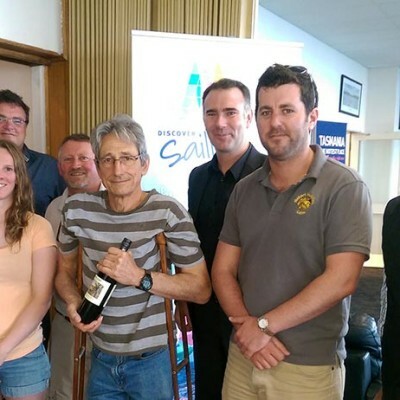 This is a great way to meet fellow new members and existing members alike, and learn more about the great culture and activities and member facilities available at the Derwent Sailing Squadron. AFL Grand Final Day is a big affair at the DSS! But it’s not all party pies and beer. Members take great pride in their Club so once a year there is a working bee to get all those little jobs done around the Club. 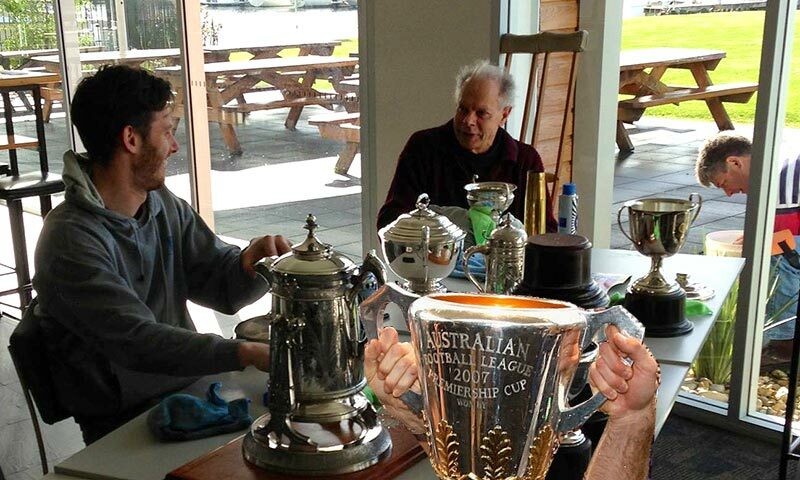 The fun involves anything from painting, to gardening, polishing trophies, cleaning windows, various jobs around the boat yard and even fixing that odd loose board. Everyone is encouraged to turn up and lend a hand because many hands make light work! Afterwards, we encourage you to stay on for the AFL Grand Final Day BBQ. Watch the game from the club’s comfy lounge chairs or a bean bag while enjoying a snag or pie. There are half-time games for the kids (big and small), sweeps and other prize draws. The traditional Christmas season is celebrated in a special way at the DSS. Something for everyone means a visit from Santa for a family day and a Xmas cocktail party for the ‘grown-ups’. 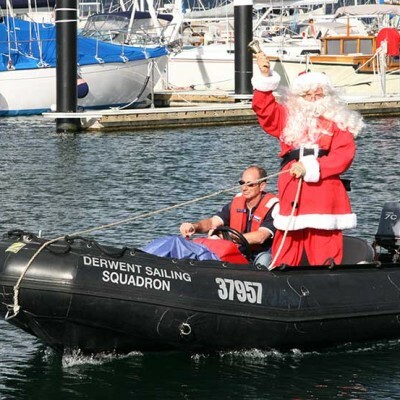 DSS Members are lucky enough to have a special visit from Santa each year. Santa started making this pilgrimage to the Club after hearing about the legendary welcome guests and visitors receive. As a result, it’s now on Santa’s busy calendar each December to drop in and say ‘Merry Christmas‘ and to give the kids of the DSS a little present. The adults aren’t forgotten however, and Santa has decreed that each year there will be a cocktail party celebration for the adults also. Who are we to disagree? A hugely enjoyable day in summer with bands and a gathering in excess of 200 members and friends enjoying drinks and music. The day on the lawn has traditionally featured the ever popular mighty Kravats cranking great tunes all afternoon. 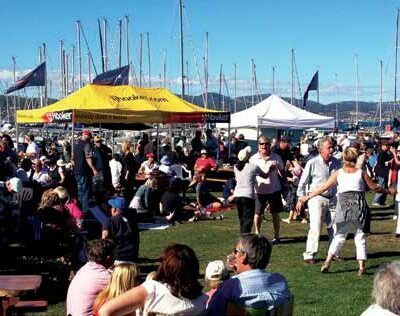 Usually held around March each year, great music, food, drinks, atmosphere and great company. And it’s free! Held on the spectacularly located lawns at the DSS. It is a tradition that has lasted many years and just keeps getting more popular. The Kravats have an ageless appeal with a set of songs that gets people of all ages kicking their shoes off and dancing on the lawn in front of the big stage.